"What matters most to you? That question drives our discovery and wealth-management approach." Based in the Comox Valley, advising high net worth individuals, business owners, retirees and families. I want to know what matters to you. You may be planning for retirement or thinking about your family’s needs right now. Or maybe you’d like to travel, contribute more to charity or follow a dream you’ve always had. I believe that in order to achieve any of these goals you need to have a comprehensive plan. Even as you plan for the future, it’s important to enjoy life now. I am an Investment Advisor who can help guide you to make informed decisions for yourself and your family. I can help you develop your wealth strategies, helping you to build your net worth while balancing your desired long- and short-term goals. Your high net worth portfolio may have many components with implications regarding tax, your estate and ease of access to cash. You need an Investment Advisor who will carefully consider your investments and your values, along with estate-planning strategies and other vital areas of a comprehensive wealth plan. See your retirement vision more clearly. I will perform a retirement analysis to help you connect your assets to the things you want them to do for you, putting your desired life goals into meaningful financial context. A well-thought-out wealth plan can help you turn your portfolio into income at the right pace and at the right time to help reduce your tax burden, and I can show you how to make liquidation more tax-efficient. Take risk off the table, especially as you near retirement. Markets fluctuate, and your portfolio needs to be able to withstand those changes. Specific investments have different benefits at different times of your life, so my team and I will weigh your holdings and review the effects of each one over time, factoring in the influences of tax and inflation. You will get wealth management strategies to help mitigate risk so that when markets shift, your portfolio’s average returns can stay relatively stable. Get comprehensive wealth planning, with a thorough, careful analysis of your needs and goals. With your retirement plans and present needs in mind, I will build a strategy to help ensure you get the right growth and flexibility. And when needed, I will work closely with TD specialists to provide expertise in insurance, estates, business succession and high net worth planning. I am proud to be rooted in the Comox Valley, with strong community and family ties. I have lived in the region since 2004, raising my family and staying active in local sport, social and environmental causes. My home life, leisure time and career are embedded here, with a deep commitment to our clients and their families, and the community at large. I am excited to see that the Comox Valley is a growing community and that many see it as a great place to retire. It is a pleasure to offer the personalized, multifaceted retirement strategies they need. Your next generation will be cared for, too. Good wealth planning will affect all the people you care about, so you need an advisor who is in it for the long term. I joined TD in 2000, followed by starting my wealth planning career in 2004 with TD Wealth. I plan to be there for you and your loved ones for many years, to help build relationships and guide your family while they carry out the strategies we have created together – and to help them build their own, too. 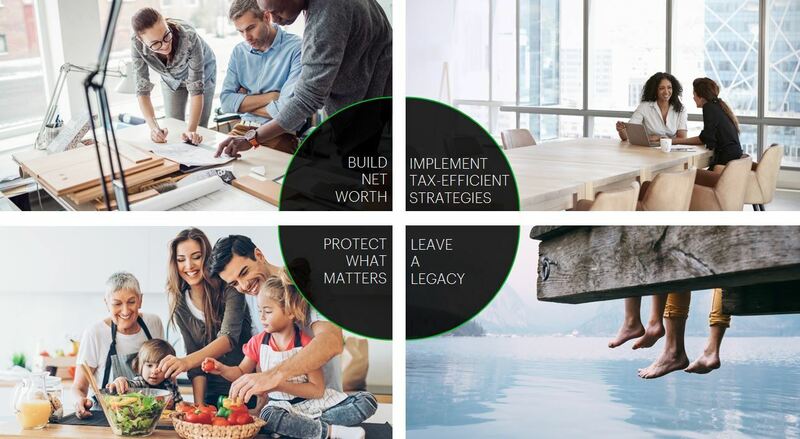 With your family in the conversation, I can work with TD specialists to help you create your Will, Powers of Attorney and other preparations that have a broad-scope view of your family’s assets and needs, with strategies designed to help build and maintain your overall portfolio. *The annual Vision in Action Award of Distinction recognizes the contributions of truly outstanding employees in support of TD’s vision to be the better bank. Approximately one in 1,000 of TD’s “best of the best” are recognized each year. Joel joined Ivan’s team in 2018 after ten years of volunteering and playing hockey with him. He grew up in the Comox Valley, enjoys playing hockey and is an avid mountain biker. He and his partner, Virginia, have a fondness for animals and have three dogs of their own, and often a couple of foster dogs as well. Joel is a volunteer member of the Comox Valley Rotary Club and volunteers in other activities around the Valley. Joel’s financial career started in 2003 and includes time as a Financial Advisor with Sun Life and as a TD Financial Services representative in the Comox and Campbell River branches. His career has given him lots of opportunities to travel to other parts of the world to destinations that include Japan, Taiwan, China, Singapore, Korea and the United States. 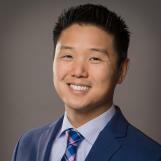 Before joining TD Wealth, Joel had a promising career as a manager with a large auto group, however working with Ivan Lee was a significant opportunity. In his new role, Joel is responsible for keeping the team connected to the community through responsive client support ,digital marketing, day-to-day account management and assisting clients when Ivan cannot be reached.